Here are some methods of giving that you should consider at year end. Remember that donations to Chabad Jewish Center are 100% tax deductible (speak to your accountant to see how this will benefit you on your return). Real Estate Donation - You may have real estate that has depreciated in value. You can get the full appraised value for that real estate even if you couldn't sell it for that amount. Appreciated Stock - Due to the shifts in the market over the past year you may have appreciated stock. Donating (transferring) the appreciated stock directly to Chabad helps you avoid capital gains tax while getting you a donation credit at 100% of the stock value. Cash (or check or credit card) - Of course good old fashion donations via check, credit card or wire transfer to Chabad Jewish Center all can benefit you on your tax return. Speak to your tax advisor to see exactly how your contribution can benefit you.  Donations to Chabad Jewish Center can be made via our website CLICK HERE or via mail to 1480 Shiloh Rd NW, Suite 500, Kennesaw, GA 30144. Feel free to email or call if you need more information at 678.460.7702. The real value of your contribution is above and beyond the cash value as your dollars are directed to helping us achieve our mission to inspire every Jew regardless of affiliation or background and to provide opportunities for Jewish education and experience. May you and yours be blessed with material success in the New Year and blessings for health and nachas. This information is not intended as tax advice. A competent tax advisor should be consulted.